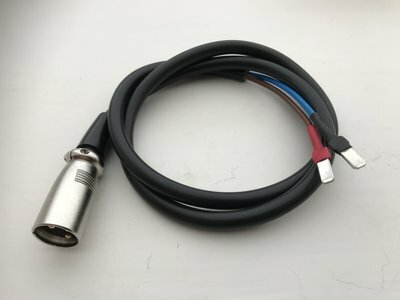 Cable for testing e-bike batteries of BionX on TREK e-bikes. 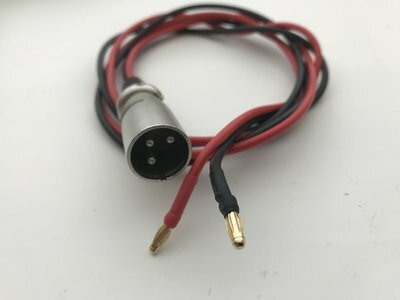 Universal Test Cable with flat contacts, 5 x 1.6 mm for testing different e-bike batteries. Batterytester is the most UNIVERSAL battery tester! The first question we often receive is: What batteries can I test with Batterytester? A justified question! 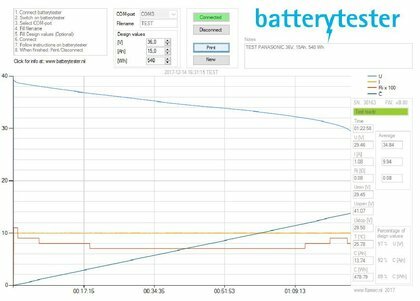 We dare to say that Batterytester can test most of the e-bike batteries in comparison to competition. Batterytester is a universal battery tester. We offer you only one testing device for different types of batteries. Batterytester offers the widest range in Voltage: min3V - max60V. In addition to that Batterytester is able to test different types of batteries: Led, Li-ion, NiMH and many others. There are a lot of different e-bike battery brands in the market place today. Also when it concerns battery brands you make the right choice with a Batterytester: We test most e-bike battery brands compared to competition. There is no other battery tester in the market which can test batteries of Bosch, Yamaha, Brose, Accell, Gazelle, Impulse, Stromer, Panasonic etc. 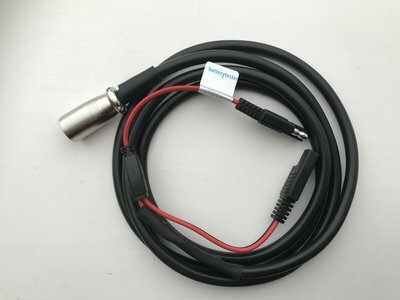 Within the delivery of a Batterytester a universal test cable is included. In principle you are able to test batteries with this cable where you can measure a current. Connect to the battery poles and start testing! Many of our customers prefer however to use so-called Plug & Play cables and adapters. These you can order seprately. 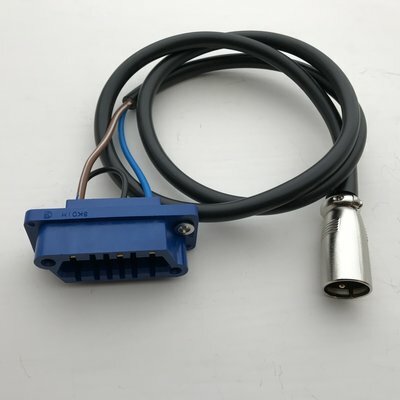 It is not always possible to connect the universal test cable or you should be inventive youself. With the use of a Plug & Play cable or adapter it is easy to connect to the battery. Finally we offer so-called SMART cables and adapters. This cable or adapter is a MUST in order to be able to test certain types of batteries. Already during the stage Batterytester was developed we set as a requirement that the Batterytester should be user-friendly. The user has to be able to explain the test result to the customer. A clear test report with among others the available capacity in a percentage is for everyone to be understood. The share of electric bikes in the total turnover in the bicycle industry is already for years increasing. An electric bike is a completely different product compared to a bicycle without electric drive. A problem which many bike shops face is mainly the time the mechanic looses when searching the malfunctioning or in other words the diagnosis of the problem. Often the customer gets a 'borrow' e-bike and the shop owner needs to communicate a lot with its supplier. This implicates that the entire project consumes a lot of time and money which impacts efficiency considerably. Without a Batterytester the mechanics are calling the suppliers, they replace a lot of parts in order to come to a diagnosis which often even is not correct. This results into the fact that the customer has to come back again as the problem was not solved the first time. In short, a lot of frustration for the customer but also for the shop owner, e-bike producer and battery supplier. In case of exchange of an e-bike the battery forms an important share of the overall e-bike price. Often a shop owner offers no too much for the e-bike to be exchanged as the shop owner does not know the quality of the battery. By making use of Batterytester the shop owner is able to offer a fair price for the e-bike to be exchanged. A shop owner can also make use in case of incoming deliveries of suppliers. A so-called quality check of e-bike batteries which are delivered by the suppliers. In case of sales to a customer the shop owner can print a report of the e-bike battery which can be handed over to the customer. The shop owner can also include a battery test as part of the service programme. With Batterytester the shop owner has a good overview of the life cycle of an e-bike battery. With Batterytester you will get increased efficiency for your workshop and you can offer extra services to your customers. Lack of battery power will not happen to your customers for planning their e-bike tours. That is why our slogan is: 'Don't let lack of ower stop you'.